Today beautiful Barcelona appeals to visitors from around the world. This vibrant metropolis, the second most populous in Spain, ranks as the second largest urban center in the nation. Its numerous attractions offer a treasure-trove of fascinating sights and sounds for travelers! As the capital of the historic region of Catalonia, Barcelona holds immense interest for history buffs, too. 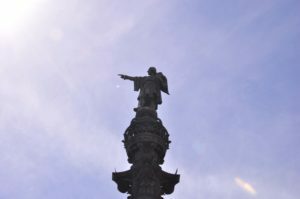 Anyone seeking fun things to do in Barcelona will want to include some informative city walking tours on their travel itinerary. A leisurely stroll between landmarks provides a figurative journey through time. Every neighborhood offers distinctive points of interest for visitors interested in the history of the Catalan area in general and the history of Barcelona in particular. Take a Gothic Quarter tour (Barri Gotic) to appreciate the rich canvas of bygone centuries still preserved within an intricate network of narrow lanes and encompassing stone buildings; spend time rambling through more recently constructed sections of the City to witness the impact of globalization. You’ll discover a myriad of fun, interesting activities here. Catalonia’s exciting past beckons to tourists now. Carry home the memories of a lifetime. Don’t miss your opportunity to explore this delightful, unique landscape! Today the Catalan region of northeastern Spain extends across 32,108.2 kilometers and boasts a population of 7,565,603. (1) It borders France and Andorra along its mountainous northern border and adjoins Spain within the Iberian Peninsula. The blue Mediterranean Sea extends along its eastern coast. The Balearic Islands lie approximately 133 miles to the southeast of this region’s historic capital city and most important port, Barcelona. Today visitors taking walking tours of Barcelona may also enjoy spending pleasant hours relaxing on the city’s warm, broad sandy beaches. Tourists possess a great selection of seaside venues adjoining cafes and restaurants. For instance, within Barcelona’s historic Ciutat Vella district, an area developed mainly during the 1700s and later extensively renovated, Somorrostro Beach appeals to many people seeking recreation along the shore. Barcelona and the Catalan coastline supply a number of public beaches and marinas where visitors can sunbathe or pursue maritime activities. The Romans constructed many cities in the Iberian Peninsula and also worked to develop local infrastructures by building bridges, roads, city walls, aqueducts (to transport water) and other public facilities. Although the precise origins of Barcelona may pre-date the Roman Period, the city had been established by at least 15 B.C. as a small town with a garrison. The nearby coastal community of Tarragona to the south apparently remained larger in size during this era. By the 5th century, many residents of Roman communities in Spain has become Christian. Today, visitors to Barcelona can still trace remnants of the city’s Roman aqueducts. Scholars have consulted historical references with the results of modern excavations to track the course of this massive ancient public works project. The Barcelona City History Museum in the Placa del Rei has sought to present a number of exhibits of artifacts and statuary dating from the Roman Period. For instance, the museum offers a virtual tour of the city as it would have appeared during the Roman era. Visitors to Barcelona may journey about 60 miles south to visit Tarragona, where a brief stroll offers access to ruins (which include a Roman amphitheater). The public can visit the National Archeologic Museum of Tarragona to see a variety of artifacts dating from Roman times. Eventually, the Roman Empire weakened. Pagan nomadic tribes from the north invaded a number of territories controlled by Rome. Visigoths crossed the mountainous Pyrenees to capture large swathes of the Iberian Peninsula, including the region around Barcelona in the early 5th century A.D. This period, formerly called “the Dark Ages” by medieval scholars, ushered in centuries of frequent warfare and conflict. To the north of Catalonia, a Germanic tribe known as the Salian Franks established the Merovingian Empire. King Clovis I became the ruler of the Frankish tribes between 481 and 511. Christianity spread widely through the region (now located in the modern nation of France) during the next two centuries. In the early 700s, Islamic North African Moors invaded the Iberian Peninsula from the south. They conquered extensive territory. They crossed the Pyrenees and appeared poised to invade the Frankish Kingdom, but Charles Martel stopped their advance decisively at the Battle of Tours in 732. In areas controlled by the Moors, some local people converted to Islam. The Moors established a rich cultural fabric in much of the southern part of the Iberian Peninsula. However, they exerted only limited influence around the Barcelona area, a northerly location which did not remain under Moorish control. The Franks exerted a strong influence in the Catalan region. In 751, Pepin the Short had become King of the Franks, establishing a new Carolingen Dynasty in France. Charlemagne (c.742-814) succeeded him to power and launched an effort to recapture territory for the Franks south of the Pyranees. He successfully invaded Catalonia in a bid to place his feudal allies in power along a “Spanish March”, a buffer zone between the Moorish Empire and the Frankish Empire. Charlemagne’s son, Louis I, assisted his father’s efforts by installing a Count of Barcelona. The Carolingen dynasty also created other feudal outposts in Spain, including one around the northern city of Jaca in Aragon. During the following century, the rulers of Barcelona and its environs remained feudal vassals of the Kingdom of France. Several Counts of Barcelona gradually gained greater autonomy and more control over Catalonia during this period. They engaged in ongoing hostilities with Moorish rulers. The Moorish leader Almanzor attacked the City of Barcelona during a brutal siege in July, 985. The raid resulted in extensive loss of life. Many residents of the city died in the fighting, and the victors sold others into slavery. The Count of Barcelona, Borrel II, fled to Montserrat and unsuccessfully sought assistance from the French king. Although he would later swear allegiance to the new French Capetian dynasty in 988, Borrel II and his heirs thereafter governed Catalonia with greater autonomy. They regained control of the region and later expanded their holdings. Apparently, the older quarter of Barcelona today dates from a time period after the 985 siege. Several years later, Count Ramon Berenguer III of Barcelona captured part of Ampurias. He also encouraged the re-population of former settlements in Tarragona to the south of the City of Barcelona. During this period, many Christian and Islamic principalities in the Iberian Peninsula engaged in ongoing warfare and parts of Catalonia stood in the war zone. In Barcelona, the Museum of Catalan History offers exhibits and artifacts relating to this violent historical period, as well as other, more peaceful eras. The Gothic Quarter and Ciutat Vella house some of the oldest landmarks and sites of interest in this cosmopolitan urban center. These sections, among the oldest parts of the City, still provide examples of winding medieval streets established before professional city planning. Visitors enjoy touring the historic Barcelona Cathedral to appreciate the power of architecture dating from this, and later, eras. In 1137, and important geopolitical development occurred when the Count of Barcelona, Raymon Berenguer IV, married Petronilla, the heiress of the Kingdom of Aragon. Their son, Alfonso II, became both the King of Aragon and the Count of Barcelona. 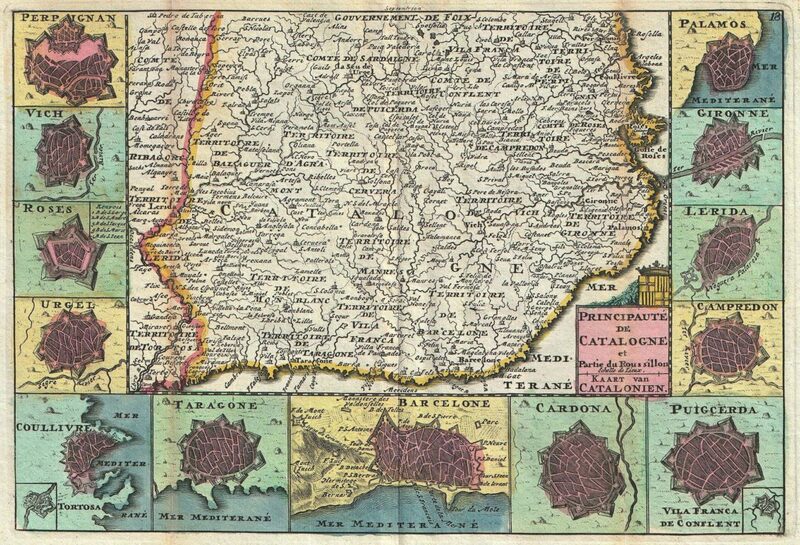 The marriage essentially united Catalonia with the growing Kingdom of Aragon in northern Spain. During the next few centuries, Barcelona enjoyed comparative stability as a part of the Kingdom of Aragon. The front in the war against the Moors on the Iberian Peninsula had moved far to the south. In 1179, the Kings of Aragon and Castile reportedly agreed upon the division of lands they hoped to recapture from the Moors. The Catalan fleet assisted the Kingdom of Aragon in acquiring other territories in the Mediterranean area. In 1282, King Peter III of Aragon also became King of Sicily. Aragon acquired Sardinia in 1320 and later briefly conquered the Kingdom of Naples on the Italian Peninsula. 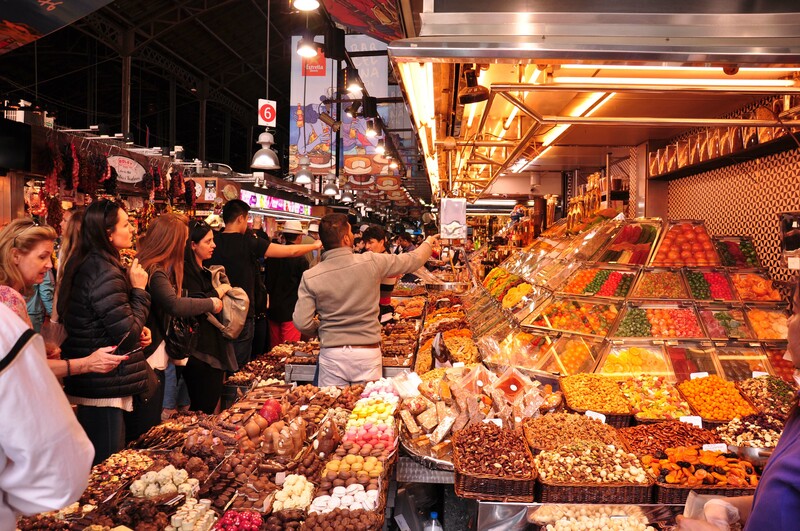 Merchants in Barcelona prospered during much of this period. While residents of Aragon contributed heavily to military efforts, many Catalans focused extensively upon trade and maritime pursuits. Visitors to modern Barcelona can tour the City’s seafront to appreciate the historic importance of maritime activities. The port enjoys a natural harbor providing excellent access to the western half of the Mediterranean Sea. The last King of Aragon from the House of Barcelona died in 1410 without a legitimate heir. His nephew succeeded him as King of Aragon, founding the Trastamara Dynasty. The new ruling family did not enjoy widespread popularity in Catalonia, however. Perhaps partly to counterbalance this problem, King John II of Aragon arranged for his heir, Prince Ferdinand of Aragon, to marry Princess Isabella I of Castile, the heiress to the other large Christian principality on the Iberian Peninsula. This arranged marriage effectively united the Kingdoms of Aragon and Castile into a single unit, eventually giving rise to the nation of Spain. King Ferdinand and Queen Isabella sponsored Christopher Columbus, a sea captain from Genoa who led the first recorded European expedition to the Western Hemisphere in an effort to discover a new trading route to Asia. In the wake of his report of extensive lands across the Atlantic Ocean, the Kingdom of Spain claimed extensive new holdings in the Americas. Considerable wealth flowed into Spain from its huge colonial Empire during the next few centuries. Barcelona benefited in many ways from Spain’s increased prosperity. The city remained a flourishing maritime center. Nevertheless, as the importance of Mediterranean trade diminished with the rise of trans-Atlantic shipping, the Barcelona area lost some strategic significance. The City gradually assumed less prominence than Madrid, an inland seat of government. As a result of dynastic succession, in 1516 the Spanish throne passed to the Habsburg (also spelled “Hapsburg”) Dynasty, a prominent ruling family with extensive holdings in the territory now located within the modern nation of Austria. The Habsburg family ruled Spain until 1700, during a period when the nation enjoyed global superpower status. During these years, gold, silver, and other precious commodities flowed to Spain from its numerous colonies. This wealth contributed to the creation of some famous landmarks in Barcelona. Many people in Spanish colonies in the Western Hemisphere adopted the Spanish language and embraced aspects of Spanish cultural and religious life. Conflicts developed in many nations in Europe between Protestants and Catholics during the Reformation. The Spanish government frequently supported Catholic governments seeking to suppress the spread of Protestant sects during this period. The monarchy continued to maintain a close association with the Catholic Church, a bond reflected in works of art from this period. The National Art Museum houses an impressive collection of art relating to the Catalan area from the Tenth Century to the present. It’s galleries relating to this era in Spanish history interest many visitors, as does the impressive museum building itself. Walking tours of Barcelona sometimes include a visit to the museum. 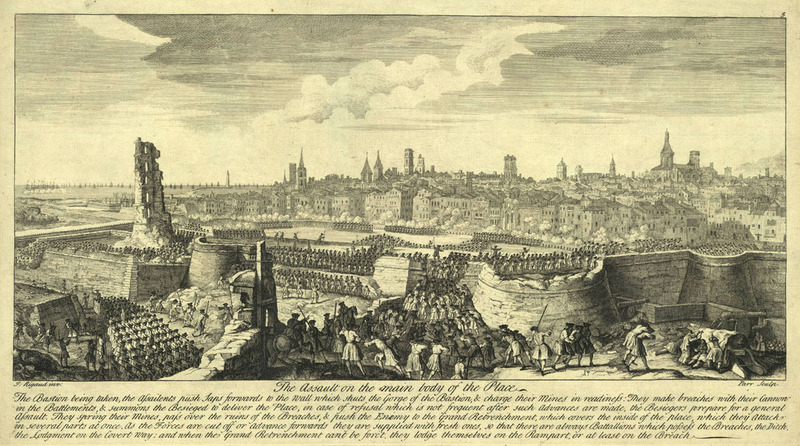 Spanish power waned somewhat during the second half of the 17th century. The monarchy’s participation in a series of military campaigns in Europe during the Reformation placed a financial strain upon the government. In 1700, the throne passed by dynastic succession from the Habsburg family to a French prince, who became the new King of Spain. This development sparked the War of Spanish Succession when several other European nations allied against Spain and France. The conflict lasted until 1714 and resulted in the loss of a number of Spanish colonial possessions. The King of Spain by treaty agreed to surrender any claim to inherit the French throne. King Philip V passed laws which strengthened the central authority of the Spanish government. His successors also passed some reforms. By 1750, the intellectual movement known as the Enlightenment gained adherents in Spain. However, the conservative Spanish monarchy resisted embracing constitutional government. 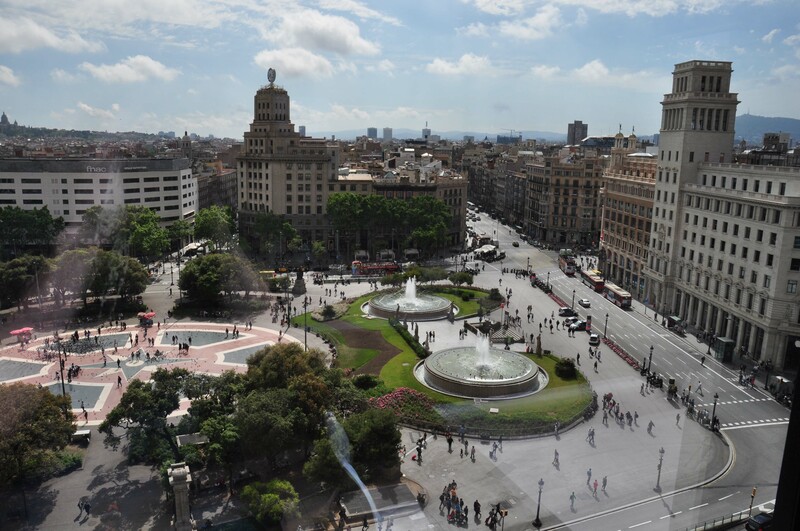 The large Placa de Catalunya (Catalonia Plaza) near the center of Barcelona demonstrates the city planning which eventually came into vogue as a result of Enlightenment influences. It provides a refreshing diversion for visitors on walking tours who enjoy admiring the magnificent fountains and colorful geometric designs in the pavement. This location serves as a demarcation point between older neighborhoods in Barcelona and more modern sections. Spain initially opposed the Republic established during the French Revolution, then later formed a brief alliance with Napoleon. When Spain considered terminating this agreement, Napoleon invaded and placed his younger brother on the Spanish throne, sparking a revolt. Spanish revolutionaries established Spain’s first constitutional monarchy through the Constitution of 1812 during a period of opposition to Napoleon. In 1814 the defeat of Napoleon led to the restoration of King Ferdinand VII as King of Spain. He rejected the Constitution of 1812 and resumed an authoritarian style of rule. A number of Spanish colonies broke away and established independent nations in the wake of this development. In 1820, the King was forced to accept the Constitution of 1812 as a result of a financial calamity, but he regained greater control again in 1823. His successors proved more willing to accept constitutional limits on their powers. A disastrous war with the United States in 1898 resulted in the loss of most of Spain’s remaining colonies. A brief but unsuccessful uprising occurred in Catalonia in 1909. Spain maintained neutrality during World War I, but in 1923 the monarchy supported the establishment of a dictatorship under General Miguel Primo de Rivera. The arrival of depressed economic circumstances caused King Alfonso XIII to remove him in 1930. Many Spanish voters by then had abandoned support for the King, who fled the country when his constituents in 1931 established a Republic. 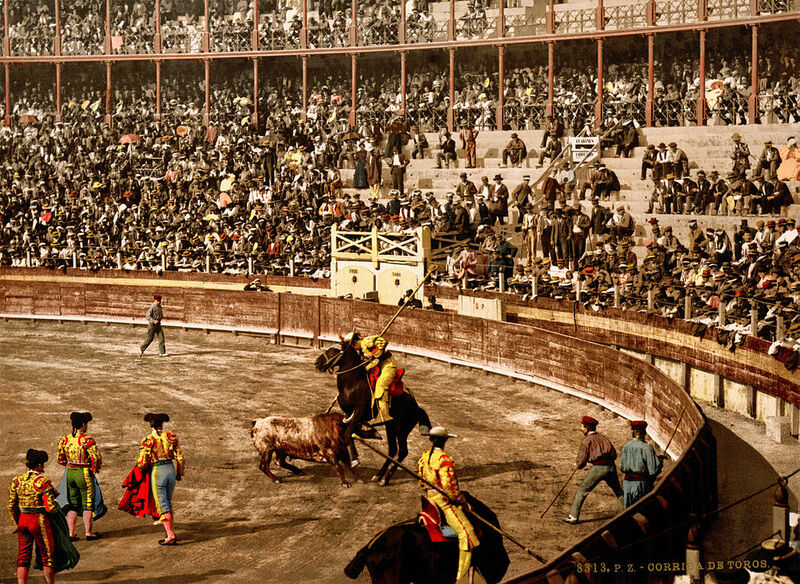 People taking walking tours of Barcelona may enjoy a visit to the Museum Frederic Mares. If offers an extensive collection of religious artwork and artifacts from several Spanish historical periods. Many pieces date from the tumultuous 1800s. A walk through Barcelona might also include a tour of Park Guell, which displays delightful creations from an architect who spent time residing in Barcelona, Antoni Gaudi. A devout Catholic, he also designed a world-famous modern cathedral. The first Republic experienced extreme political polarization as rival factions contended with one another for power. It failed in 1936 with the outbreak of a bitter civil war between Falangists on the right and Republicans and Communists on the left. In 1939, General Francisco Franco led the right wing Nationalists to a military victory. General Franco established a dictatorship in Spain after engaging in brutal reprisals. He imprisoned thousands of former Republicans and severely restricted freedom of the press and civil liberties. During World War II, Spain remained officially neutral. General Franco’s dictatorship continued until his death from natural causes in 1975, only liberalizing towards the end of this period. Visiting the Barcelona Picasso Museum offers insights into the period of the Spanish Civil War. Born in Spain, the acclaimed artist spent most of his life residing in France. Some of his most famous works dealt with the violence which accompanied the end of the short-lived Spanish Republic. Before he died, General Franco gave control of the Spanish government to King Juan Carlos. The Spanish government established a new constitution in 1978 and created a constitutional monarchy and a freely elected government. Catalonia forms one of 17 autonomous communities within Spain. This dynamic city offers a variety of modern attractions of interest to visitors who take walking tours. With fashionable boutiques and numerous fine restaurants, Barcelona supplies a variety of activities for visitors seeking to combine a vacation with a history avocation. For instance, a visit to Barcelona Aquarium (near Puerto de Barcelona) and the Barcelona Zoo provide opportunities to see many interesting animals, including some endangered species. Both locations can easily fill an entire day! Seize the opportunity to take as many walking trips as possible in Barcelona. You’ll enjoy the chance to become familiar with this remarkable Catalan city!